The 3615 is a Deluxe Ozark metal bodied resonator model that has impressive looks with a bound rosewood fingerboard and slotted imitation pearl inlaid headstock. 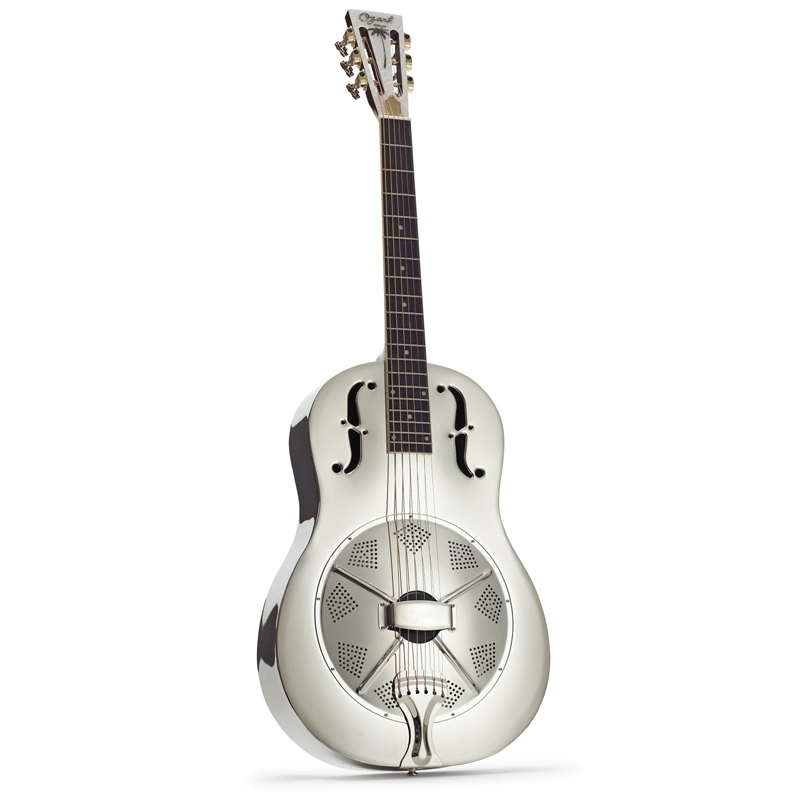 This nickel plated steel body resonator guitar is fitted with a biscuit cone and has a mahogany 12-fret neck (19-fret fingerboard) that makes it easy to play. The quality steel body with sleek f-holes produces a great rich, metallic tone that is perfect for blues style playing and other styles. Ozark resonators offer quality materials and fittings, great looks and a classic rich resonator tone at the best prices.